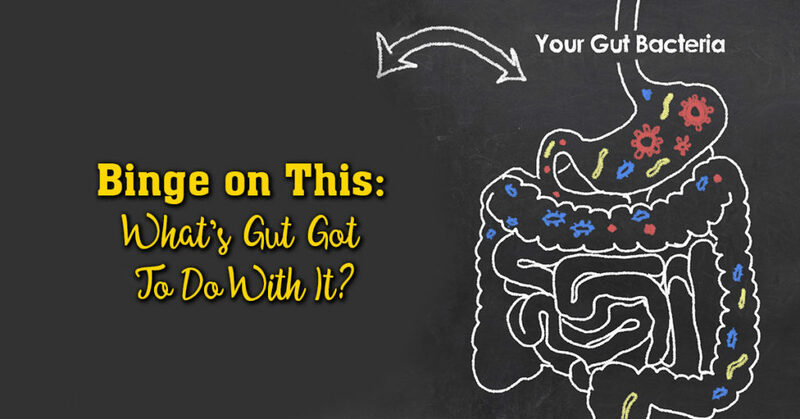 BINGE ON THIS – What’s Gut Got To Do With It? Gut? You probably won’t believe it, but Thanksgiving happens to fall on the same week as Gastroesophageal Reflux Disease Awareness Week. (Who in the world even knew such a thing existed?) The gut is the body’s largest hormone-producing organ, releasing more than 20 different peptide hormones. Is there a link between hormones and heaving food uncontrollably into your body? Without question. And how they link up is enough to make you want to give the whole binging thing up. But, of course, who would ever even consider such a thing? Thanksgiving really gets you in the gut in endless ways. What actually happens to your system when you overeat? Your entire body goes into hyperdrive the second you get a whiff of the wonders awaiting you. From the first bite of your unable-to-resist regalia, your stomach immediately begins to expand because it knows more food is on the way. That’s when the “hunger hormones” (yes, they’re actually called that—medical fact, not fiction,) kick in. These hormones are leptin and ghrelin. Leptin is a hormone, made by fat cells, that decreases your appetite. (But that you can ignore.) Ghrelin is a hormone that increases appetite, Then there’s insulin. Something to be pretty concerned about as you dig into those sugary desserts, as insulin is the hormone responsible for regulating blood sugar. It could have negative effects on those who aren’t even diabetic. After about 1500 calories in one sitting, the gut releases a hormone that among other post meal malaise and anguish, causes nausea. Not to mention gerd, acid reflux, indigestion, and heartburn. Heartburn, that for some, make them feel like they’re having a heart attack and rush to the hospital. On Thanksgiving, there’s an emergency room overload. HORMONES AND HOLIDAY BINGING GO TOGETHER LIKE MASHED POTATOES AND GRAVY. Every bite you binge on travels a complex journey through the body, touching off a simultaneous release of hormones. You might not know it, but gratefully, Dr. Stephen A. Goldstein at Denver Hormone Health is renowned in knowing it all. And more importantly, what to do about it. Hormones are like messengers swimming through our bloodstreams, each with an important chore to achieve. But when the guck in the typical Thanksgiving slows up their journey or sends them in the wrong direction, anything can happen. You feel hungry. You feel full. You feel sick. You want even more. At some point of packing it in, your gorge gauge explodes releasing hormones that can make you nauseous and make your body work harder, the digestive overload requiring the heart to pump more blood to the stomach and intestines. It’s a digestive disaster. You feel as boated as a Macy’s Parade balloon. The real answer to counter all your distress is making an appointment with Dr. Goldstein before you even lift a fork to your face. No one has the expertise and experience in knowing how to help. With simple tests, he can determine your hormone imbalances and get them working in sync again by developing a treatment plan tailored to your problems. Make an appointment now. Discover what “grateful” truly means. http://denverhormonehealth.com/wp-content/uploads/2017/11/nov_3_2017.jpg 628 1200 Tanya http://denverhormonehealth.com/wp-content/uploads/2018/03/DHH_logo.png Tanya2017-11-22 08:00:202017-11-12 09:34:32BINGE ON THIS - What's Gut Got To Do With It? While you might have heard of them, do you actually know what they are? To put it simply, they are basically just small proteins. Proteins and peptides are fundamental components of cells that carry out important biological functions. Proteins give cells their shape, for example, and they respond to signals transmitted from the extracellular environment. 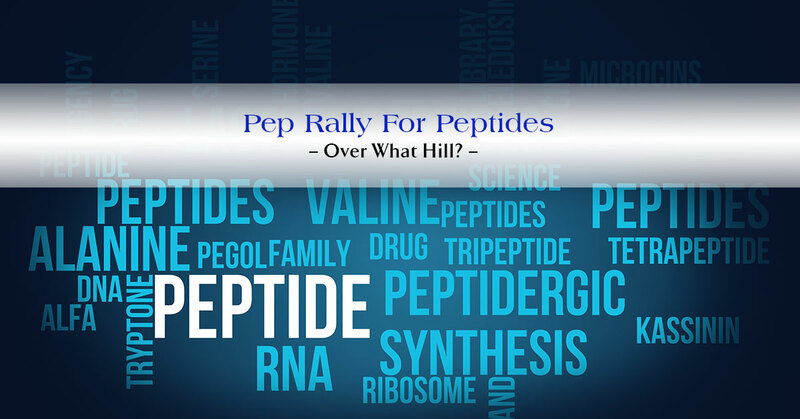 Certain types of peptides play key roles in regulating the activities of other molecules. Structurally, proteins and peptides are very similar, being made up of chains of amino acids that are held together. Peptides have many functions in the body, some act like neurotransmitters, others like hormones. Many control and influence how our bodies react to diet and physical exercise. To date, over 7,000 naturally occurring peptides have been identified in our bodies. That’s a lot of signaling going on. Just to name a few uppers of upping your peptides and HGH. You won’t have to know how to spell them in a spelling bee or even how to remember what they are. What you should know is that there is a specialist in Peptide Therapy, that understands it all inside out; Stephen A. Goldstein MD, F.A.C.S. at Denver Hormone Health. Dr. Goldstein has had endless experience in hormone replacement therapy, but his skill in knowing which Peptide therapy is exactly what you need, is equally unrivaled. You’re younger than your used to be.